Every maker has a story. Be a part of Dave Gehman, fine art painter and writer's story by placing an order, leaving a review, and seeing your review appear here. Pigment giclee print on archival Strathmore 5 x 7 in. greeting card paper. Blank interior (no message). Envelope included. 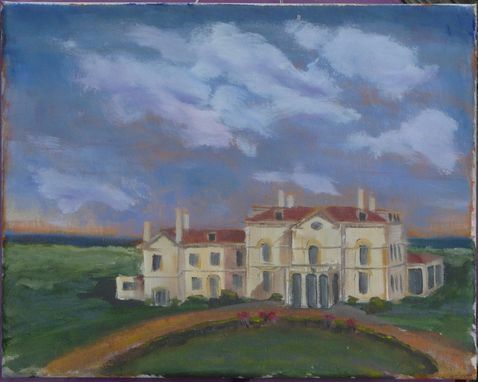 From an original DGehman painting, a whimsical view of a typical Newport R.I. "cottage."